The teddy coat. Where has this coat been? I love this style, it’s cozy on the inside and cozy on the outside. I wasn’t interested in buying one when winter was first upon us but come January I’m seeing this style coat all over my feed and was ready to purchase. 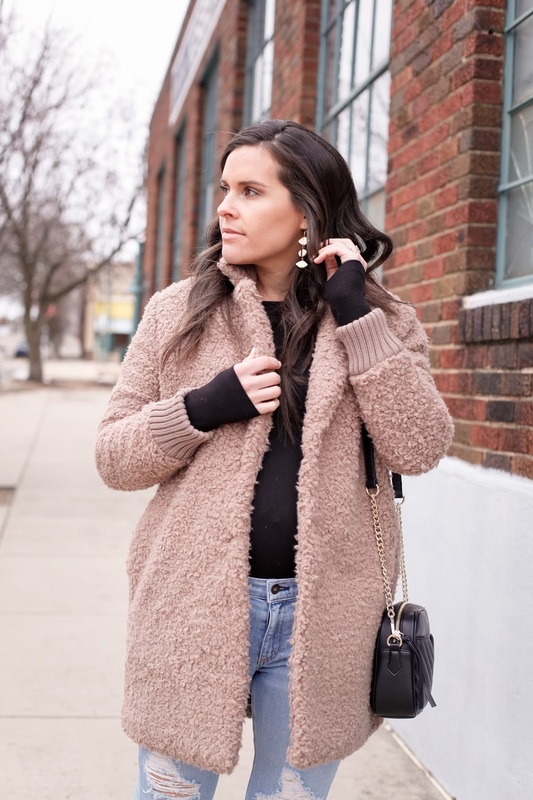 I’m not quite sure “teddy coat” is even the name for this style but the color and fabric make the coat look like a teddy bear so I’m calling it a teddy coat and you can find this one on sale for under $40! It felt so good to be able to wear a bodysuit and jeans this far along in my pregnancy. I need to go through all my jeans and see which ones fit over my thighs and which need to be stored away till the fall. I have worn these jeans quite a few times and they were a little bit big in the waist and crotch which is perfect for pregnancy! I was able to wear these jeans buttoned without anything (love handles/extra skin/baby weight) hanging over! You can see when I wore these jeans here how they don’t fit perfectly, I was always pulling them up too high which made them look bad even though they felt good. 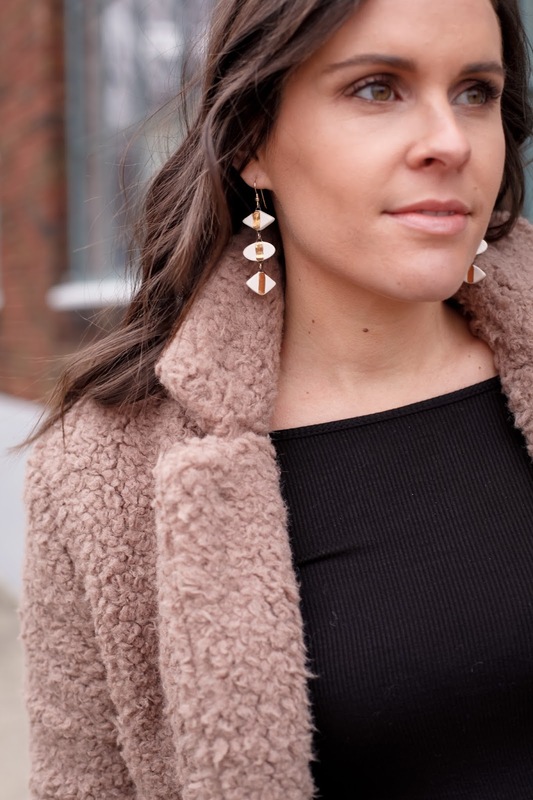 This outfit is perfect for a mild winter day. This teddy coat isn’t super heavy and even though my shoes have (faux) fur in them they are still slides and my heels are exposed. Majority of Memphis’s winter days are mild so I will be wearing this outfit a lot. If not this whole outfit than these shoes and jacket with a different combo for sure!